After several years as an empty shell, the former Kmart building at 947 Shelburne Road is finally seeing some action. 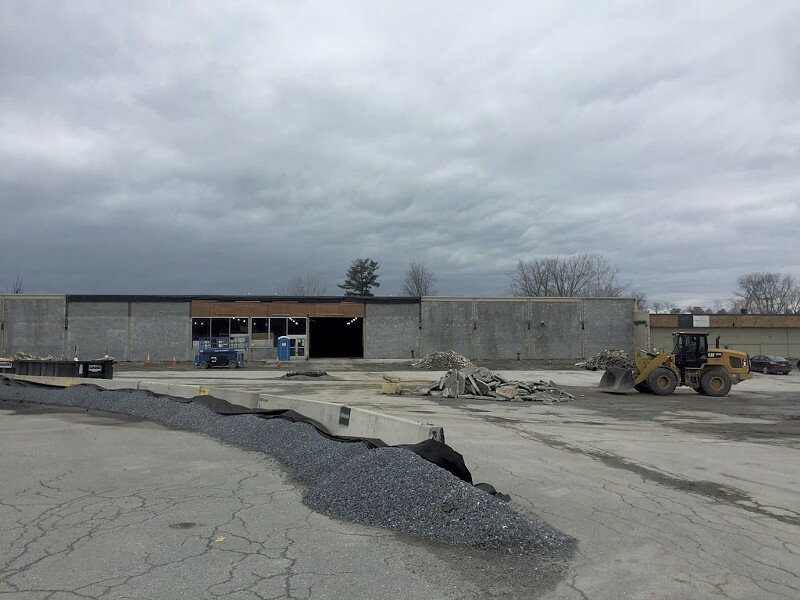 Contractors have begun transforming the space into a new home for the South Burlington Hannaford, which currently occupies a nearby building across from Lowe's. The Kmart building is about 12,000 square feet larger than the supermarket's current home, according to site workers who spoke to Seven Days last week. Maine-based Hannaford will make the most of that extra space with a "fresh, modern look," external communications manager Ericka Dodge said. Besides outfitting the space with standard market infrastructure, Hannaford will highlight fresh produce there. "[The] produce department will have the abundant feel of a green grocery store," Dodge said, adding that a prepared-foods counter will offer sandwiches, salads, stir-fries and other quick lunches. Dodge wouldn't specify a date for project completion but said she expects full building and site work, including improvement to the wastewater systems, to be under way this spring. The original print version of this article was headlined "Crumbs"